Before Multimatic, Larry Holt worked at Magna as the Director of Computer Aided Engineering. Cloaked in secrecy from the outset and with still little known about its technical intricacies, the new Ford GT supercar has another well-kept secret. It's being built in Canada. You might not know Multimatic Inc. of Markham, Ont., which is remaining decidedly low key and tight-lipped about the GT, but Multimatic knows performance, engineering and carbon fibre. Larry Holt, the main man behind Multimatic Motorsports, the company's competition arm, has for years managed to fly below the media's radar. This, despite employing a past class winner of the 24 Hours of Le Mans as his lead development driver, shaping suspension components and other parts for Formula One teams and fielding a succession of race-developed Ford cars in high-profile racing series around the globe. 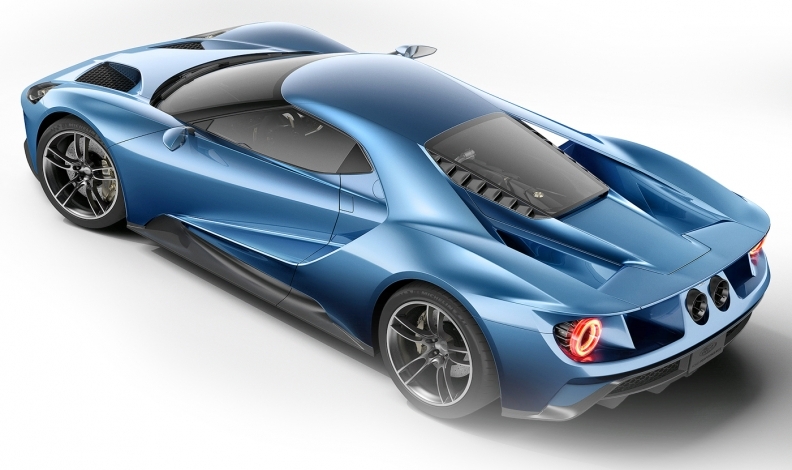 One year after the GT concept exploded onto the stage at the North American International Auto Show in Detroit, Mich., Ford this year (Jan.16-24) showed a fully functioning, road-ready model —upstairs and in the back — just far enough away from the spotlight that visitors had to look around to find it. Holt was nowhere to be seen as he was in Daytona, Fla., with his team and a brand new Ford GT, preparing for the 24 Hours of Daytona (Fla.) endurance race. Ford's Dianne Craig says the company is focusing on the GT racing program, which means no details on the production model. And that's just how Ford wanted it, apparently. Weeks of trying to line up Holt for an interview on the car's development led absolutely nowhere. Ford doesn't want the finer details of its new halo sports car getting out until much closer to the release date later this year, explained Ford of Canada president and CEO Dianne Craig. "We're now concentrating on (developing) the racing aspect of the GT," she said in an interview at the Detroit show. So who is this mysterious Holt, and what is Multimatic? The company designs, develops and produces everything from simple door hinges and latches to complex stamped and welded assemblies, suspension components and specialized dampers, and even complete vehicles. Because the Ford GT is moulded from carbon fibre, it uses shapes and angles that can't be bent out metal. That means outsourcing to a specialized company: Canada's Multimatic Motorsports. The GT, with its carbon tub and body, is one reason Multimatic is involved. Aston Martin's Vantage GT12 coupe, Vulcan supercar and Lagonda Taraf super sedan all showcase the company's composites capability. Interestingly, while carbon fibre can't compete with high-strength steels and aluminum on a cost basis for cars that are affordable to mere mortals, "it's getting close," claims Holt. While it sounds like a dream job, the beginnings were humble. Holt began his career at farm equipment manufacturer Massey-Ferguson in the 1980s, later joining Canada's largest auto parts supplier, Magna, where he quickly rose to become director of computer aided engineering. 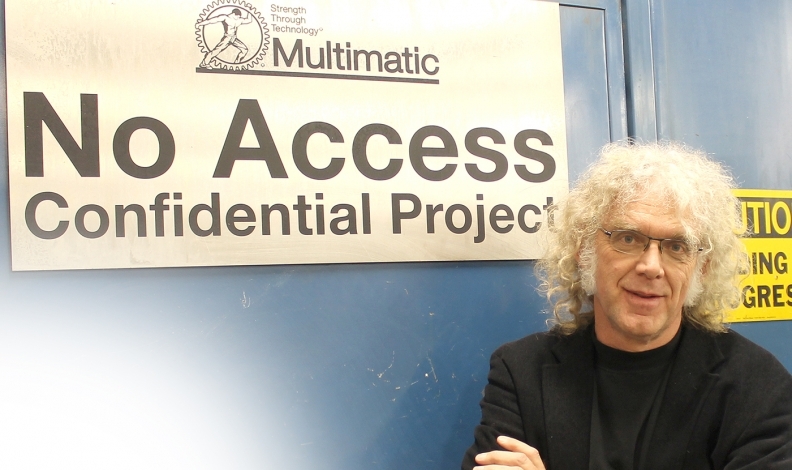 In 1988, he began building the independent Engineering Group of Multimatic Inc.
Holt saw opportunities to offer comprehensive engineering services to third-party customers. An early example of this had Multimatic team up with Ford of Canada to produce a race-winning Taurus that took National Showroom Stock Championship titles in 1992 and '93. That not only began a long-standing association with Ford, but it also began an impressive winning streak in international competition. Holt has since taken the organization from a five-man team to more than 400 global employees engaged in all aspects of product development, from commonplace production bits and pieces to full cars, such as the Aston Martin One-77 and a series of race-ready Mustang customer cars for Ford. But Holt's dream role as team principal of Multimatic Motorsports is where his vision for the future plays out today. He sees it as a high-speed laboratory where innovative engineering (a competitive advantage for Multimatic on and off the track), creative thinking and rapid problem solving are imperative for success. Multimatic is known as a components supplier but it has done large projects such as the Aston Martin CC100 concept. Not least, it's an excellent showcase to promote proprietary in-house technologies, such as its Dynamic Suspension Spool Valve damping that's favoured at the highest levels of motorsports, including Red Bulls's multiple F1 World Championship run, Indy Car, F3, sports cars and touring cars. Racing also allows Multimatic to demonstrate its obvious ability in the design, development, build, engineering and running of racecars. 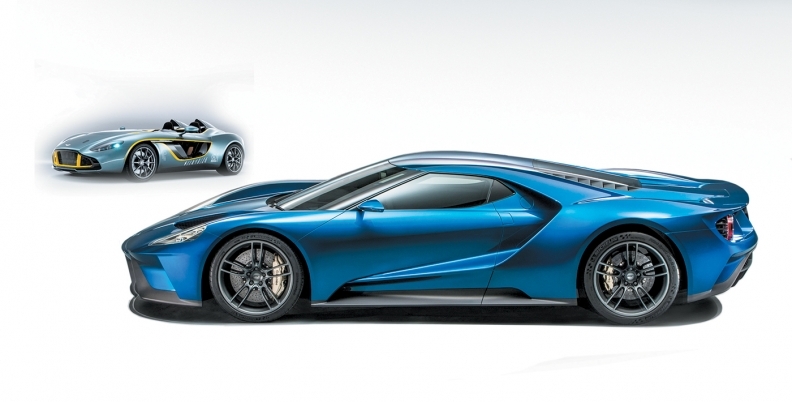 Keep that in mind as you wonder if the new Ford GT will be as good as it looks. With Multimatic's track record, there will be little doubt.